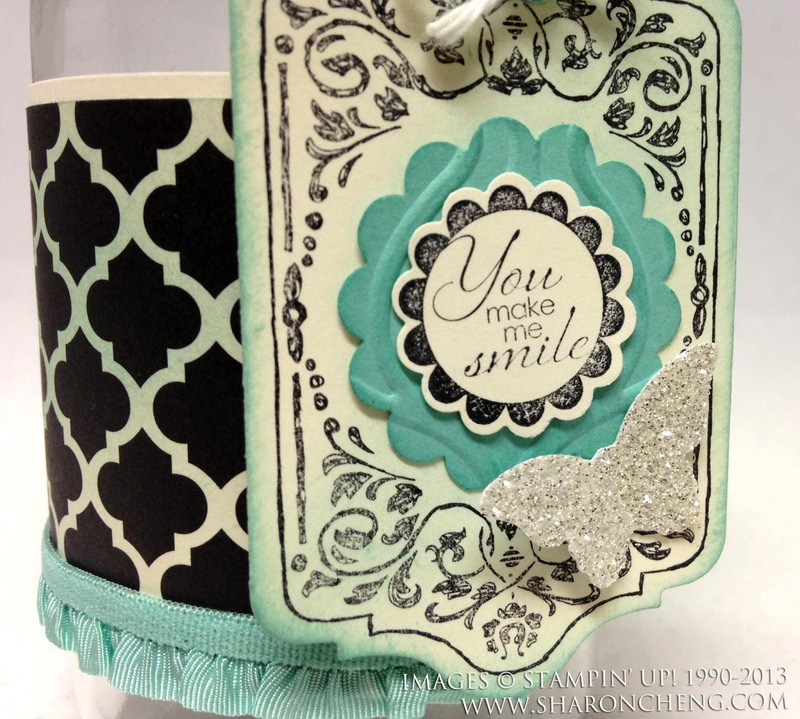 SHARING CREATIVITY and COMPANY: How Do You Rubber Stamp On Metal and Plastic? 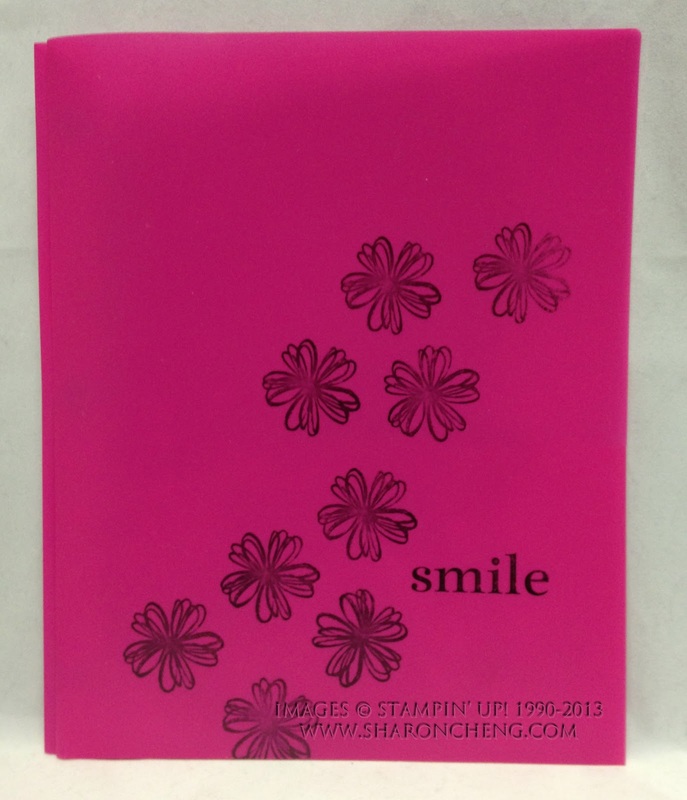 How Do You Rubber Stamp On Metal and Plastic? Stazon solvent ink is one of the best inks available for stamping on metal and plastic. 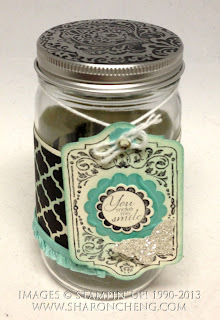 To stamp on this jar lid, I used Stazon jet black ink and Stampin' Up! 's Beautifully Baroque stamp. I left the stamp on the table, rubber side up, and then pressed the jar lid onto the stamp. By leaving the lid on the jar, I found it easier to use it as a handle to press the jar lid onto the Beautifully Baroque stamp. 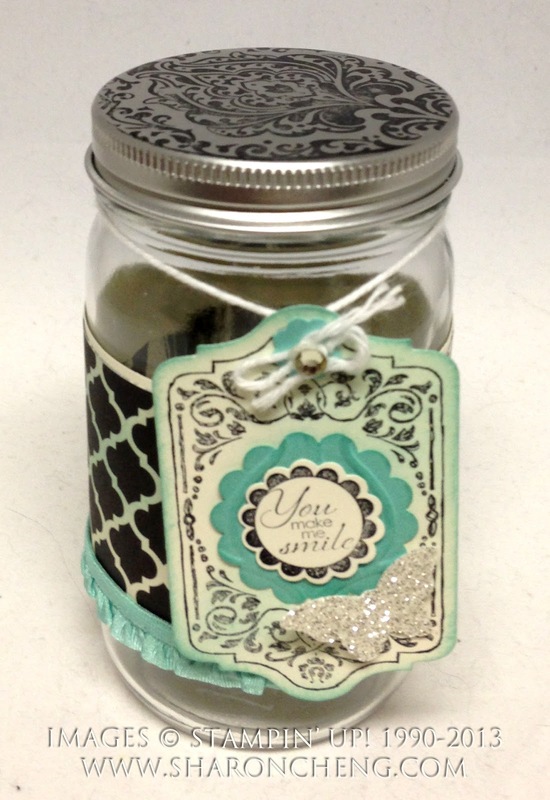 Here is a close up of the tag on the jar. If you'll look carefully, you can also see where I sponged Coastal Cabana on the Modern Medley Designer Series Paper. This was one of my stamp club projects in June. I gave people the choice of using Coastal Cabana or Strawberry Slush. Victoria used a combination of both colors which looked wonderful. Stazon is a solvent-based, acid-free, permanent ink made by Tsukineko. It is designed to stamp on non-porous and semi-porous surfaces such as metal, shrink plastic, acrylic, cellophane, leather and some glass surfaces. Because it dries waterproof, Stazon ink is my top choice for stamping images that will be watercolored. As a solvent-based ink, Stazon can be removed with Stazon All-Purpose Cleaner. This is the cleaner that I use for all of my stamps. 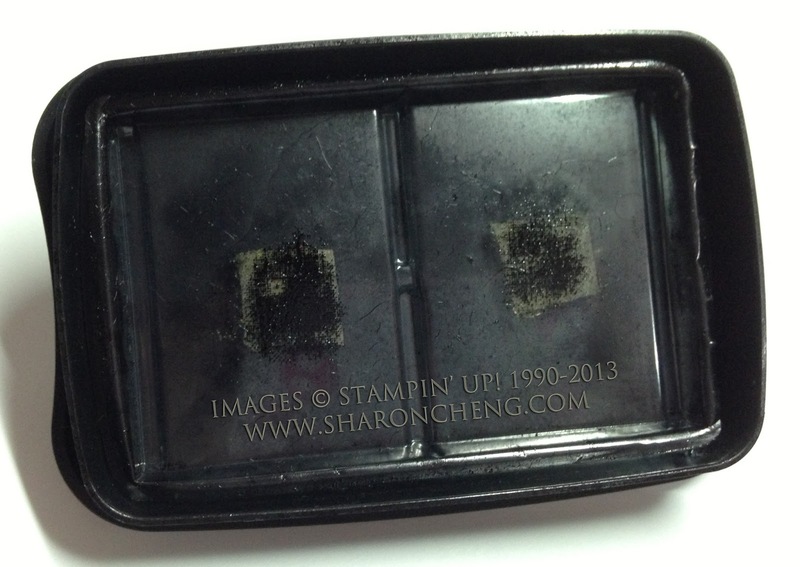 Be careful when handling items stamped with Stazon if your hands are still damp from using hand sanitizer. The alcohol in many hand sanitizers may remove Stazon. When you first open your Stazon ink pad, you'll see an inner cover mad of clear plastic. Many people accidentally throw it away. Be sure to save that cover! 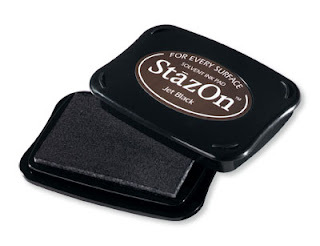 A Stazon ink pad can dry out quickly if it doesn't have that second cover. 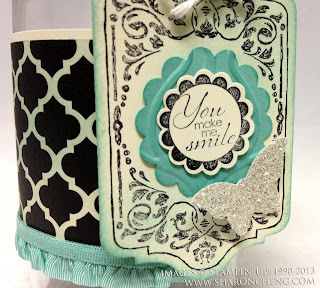 You can use Stampin' Dimensionals to attach the inner cover to the lid. Here is a picture of the inside of my Jet Black Stazon ink pad. This is a plastic school folder that I decorated using Stazon ink. I loved being able to personalize my folder. Have fun playing with Stazon ink as you decorate items that you could not stamp with traditional water-based inks. 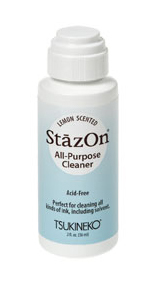 Clean up is easy when you use Stazon All-Purpose Cleaner. And remember that Stampin' Up! also sells Stazon ink pads in white.